St. Joseph's College is the teacher’s college of Long Island. 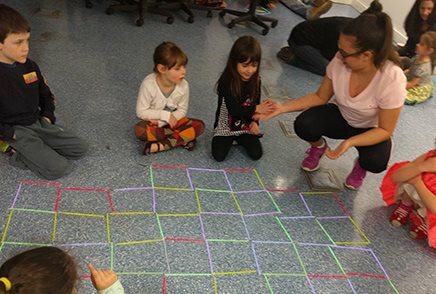 "5 Reasons To Major in Child Study"
Early classroom experience, four teaching certification areas, consistently ranked among the best teaching programs in the New York Metropolitan area — this is the SJC Long Island Department of Child Study. 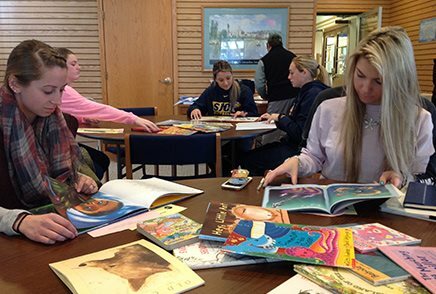 Experience a variety of settings that include private, parochial and public schools and in general education, inclusive and self-contained special education classrooms. Learn the skills and knowledge needed to transform yourself into a influencer and a successful educator. 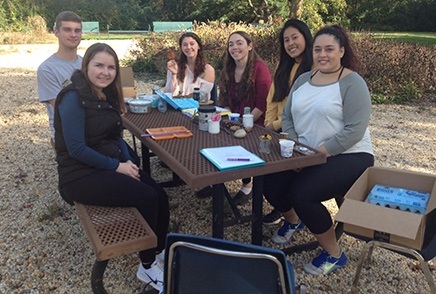 Many of our students are hired by the schools in which they conduct their sophomore-year fieldwork and senior-year student teaching. Child study graduates are in constant demand in tri-state area schools and beyond the region as teachers, school administrators, principals and superintendents. Begin your journey into the classroom today. The first step toward a rewarding career in teaching. The B.A. 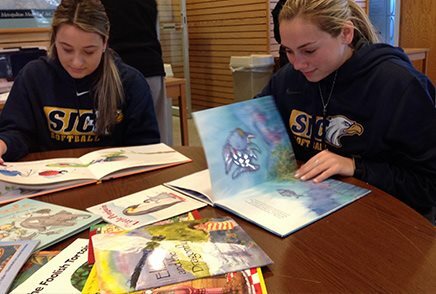 in Child Study is a hallmark program of St. Joseph’s College, providing an outstanding education that is consistently ranked among the best teaching programs in the New York Metropolitan area. The teacher education program is registered and fully accredited by the Council for the Accreditation of Educator Preparation (CAEP). The B.A. 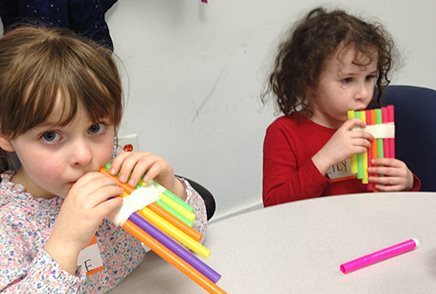 in Child Study is the only program in the Long Island area that prepares students for New York State teaching certification in four areas within one department: Early Childhood (birth-second grade), Childhood (first-sixth grade), Early Childhood: Students with Disabilities (birth-second grade) and Childhood: Students with Disabilities (first-sixth grade). More than 15 teaching concentrations in your area of interest. Enhance your teaching career with a second language. This certificate extension program is suitable for teachers who have basic certifications in Early Childhood, Early Childhood Special Education, Childhood Education and/or Childhood Special Education, and Secondary Education. The courses offered are appropriate for teachers who, in addition to English, are proficient in another language and who wish to continue their expertise in teaching by acquiring knowledge and developing competencies working in a bilingual classroom or as a teacher of students with speech and language disabilities. Pre-requisite: In addition to English, proficiency in a second language. 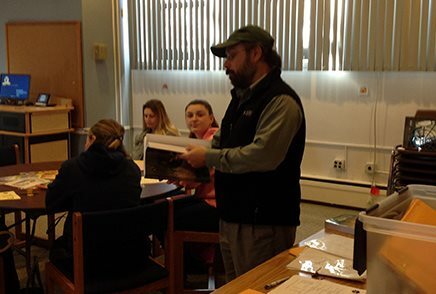 The department runs special workshops for majors, such as Project Wild, and Children and Nature. 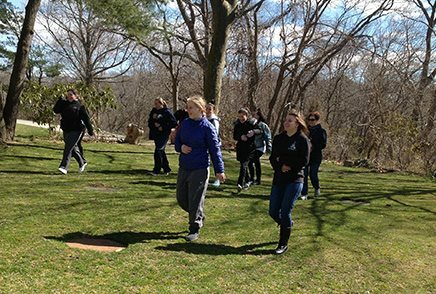 Here, teacher candidates learn about wildlife and the environment, and how to integrate the world of nature into their classroom. Each participant leaves the workshop with a binder of grade-appropriate lesson plans ready for the classroom. 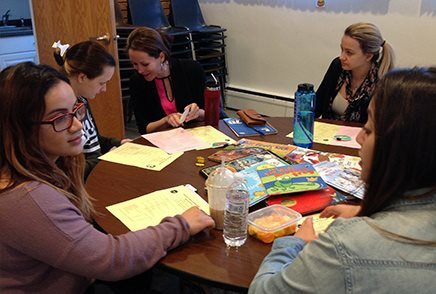 In the Children and Nature workshop, teacher candidates learn how children benefit from spending time in the natural world. They explore strategies for incorporating nature into the classroom, home and community environment. 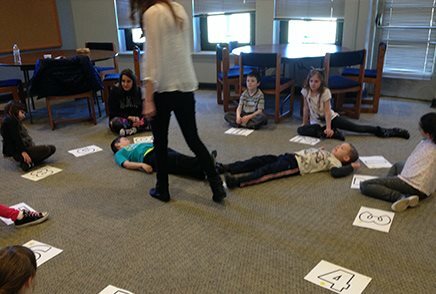 Assisted by SJC Child Study majors, faculty member Elana Reiser, Ed.D, is offering a Bedtime Math's Crazy 8s club for children in grades K-2. Sixteen children from the local area attend on Sundays. Every week, kids get to build materials, run and jump, and make friendships at the same time.